Punjab University Date Sheet Supplementary Exam 2014 For Bcom-I II. 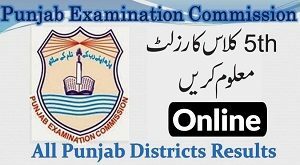 LAHORE Thursday November 13 2014 Punjab University B.Com Part-I, II supplementary examination 2014 will start from November 20, 2014, for which roll number slips have been dispatched to all candidates on their addresses. If any candidate has not received slip, he/she can receive the duplicate slip from BCom section, Exams Department New Campus.